Here is a song especially for Balboa lovers. The song is quite short (1:43) but I don't have a problem to spin short songs from time to time. 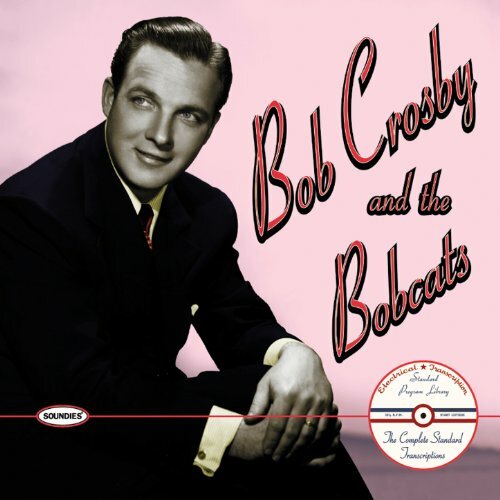 George Robert “Bob” Crosby (August 23, 1913 – March 9, 1993) was an American swing music singer and Dixieland bandleader and vocalist best known for his group the Bob-Cats. Crosby's “band-within-the-band,” the Bob-Cats, was an authentic New Orleans Dixieland-style jazz octet featuring soloists drawn from the larger orchestra, many of whom were from New Orleans or were heavily influenced by the music of the Crescent City. In the mid 1930s, with the rise of “swing” music and the popularity of the swing bands ever increasing, the Crosby band managed to authentically combine the fundamental elements of the older jazz style with the then-rising-in-popularity swing style; the resulting music they produced as a big band had a sound and style that few if any other big bands even attempted to emulate. Source: Wikipedia. Follow the link to read the full biography. There is also a biography on Allmusic.com. You can find all the songs of the series also on my Spotify playlist. Do you like the “Song of the Week” series? Share your thoughts below. Chris aka DJ Chrisbe is the founder and editor-in-chief of Swing DJ Resources and Shuffle Projects. Since 2006, he has been DJing all over Europe and abroad. Follow him on Twitter. I'm Chris aka DJ Chrisbe and I'm the founder of Swing DJ Resources, where Swing DJs and music lovers connect and get inspired. Join the community!